A common application of an SNMP gateway is to connect Modbus or BACnet devices to an SNMP network to allow SNMP management of those Modbus or BACnet devices. The Babel Buster gateway will provide access to the Modbus or BACnet data via its internal SNMP MIB. The SNMP manager can Get data read from Modbus registers or BACnet objects. The SNMP manager can also Set to write to Modbus registers or BACnet objects. The other common application of an SNMP gateway is to connect SNMP devices, most often power related equipment such as UPS systems, to Modbus or BACnet networks. This allows PLCs with Modbus RTU or Modbus TCP to access power related data from the SNMP device. This also allows building management systems (BMS) using BACnet to access power related data from the SNMP device. Babel Buster SNMP gateways provide SNMP protocol conversion enabling SNMP management of non-SNMP devices that use Modbus or BACnet protocols. The Babel Buster SNMP gateway translates Modbus registers and BACnet object properties to variables each having a unique OID in the gateway’s MIB. By doing an SNMP Get, you read a Modbus register or BACnet object. By doing an SNMP Set, you write a Modbus register or BACnet object. The gateways can also be configured to generate SNMP Traps if the value in a Modbus register or BACnet object exceeds a user defined threshold. Babel Buster SNMP gateways also allow BACnet or Modbus devices to access SNMP devices. When used in this manner, the gateway will poll OIDS (variables) in the MIBs of other SNMP devices, and copy their data to objects or registers in the Babel Buster gateway. 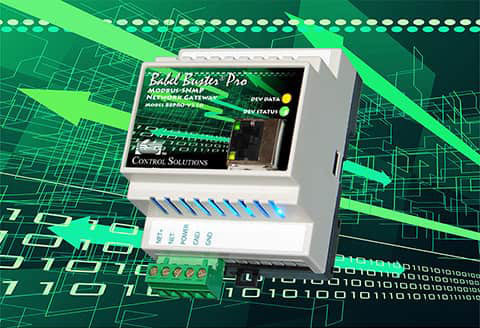 When functioning as a slave or server, other Modbus masters or BACnet clients can query the Babel Buster to read the SNMP data. Modbus masters or BACnet clients can write to registers or objects in the gateway to cause an SNMP Set to be executed to write that data to the SNMP device. The Babel Buster gateway will also function as a Modbus master or BACnet client proactively sending SNMP data to other Modbus or BACnet slave devices, or proactively retrieving data to be sent to SNMP using a Set. 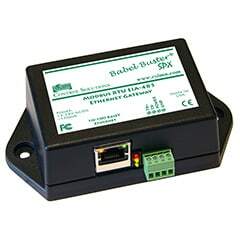 The Babel Buster Pro series includes a very flexible SNMP trap receiver. Traps received by the gateway are processed according to simple rule templates or custom programming in Script Basic created by the user. The resulting trap data is placed into Modbus registers, allowing PLCs to detect trap conditions. Babel Buster®... The SNMP Gateway Brand Everybody Remembers. 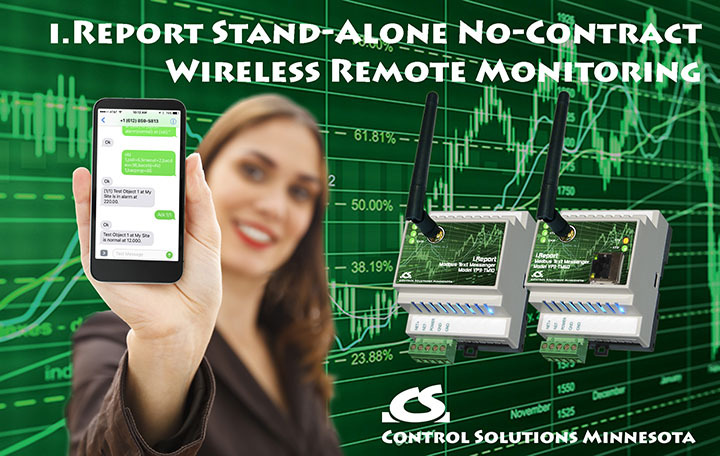 These things are possible with the Control Solutions i.Report Text Messenger. Find out more, click here!